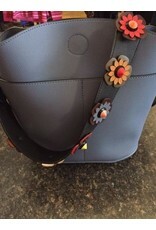 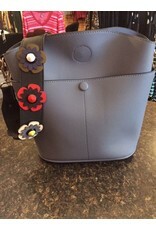 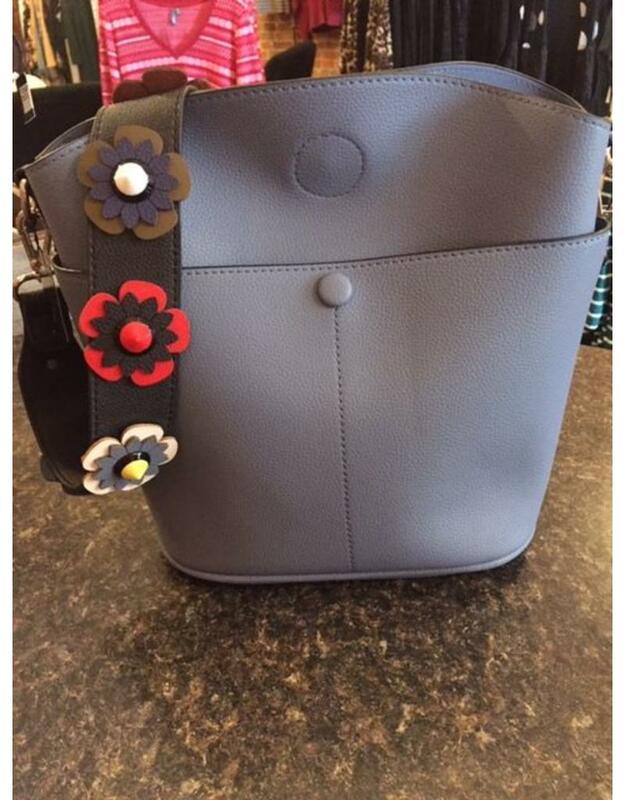 The Blue Bucket Purse has pockets in front and back with an adorable floral strap. 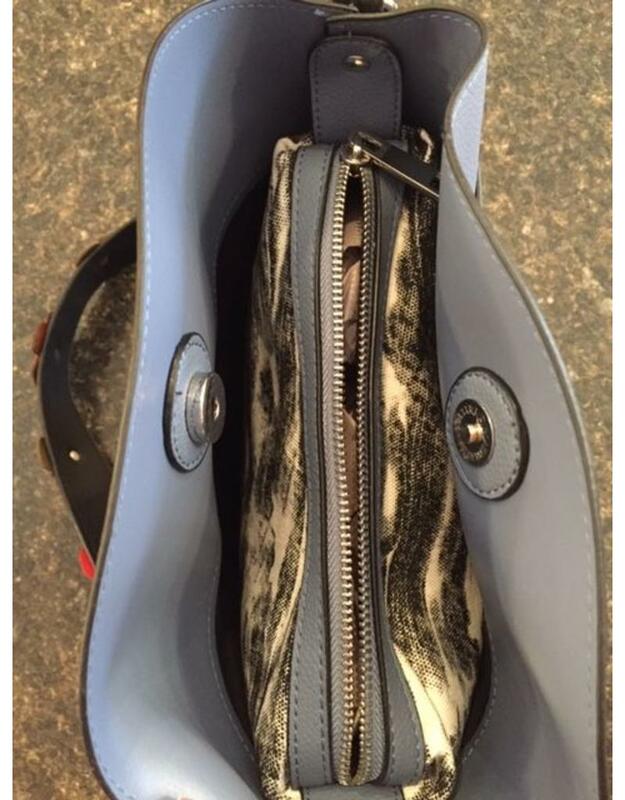 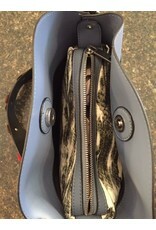 The inside compartment zips up along with more pockets inside. 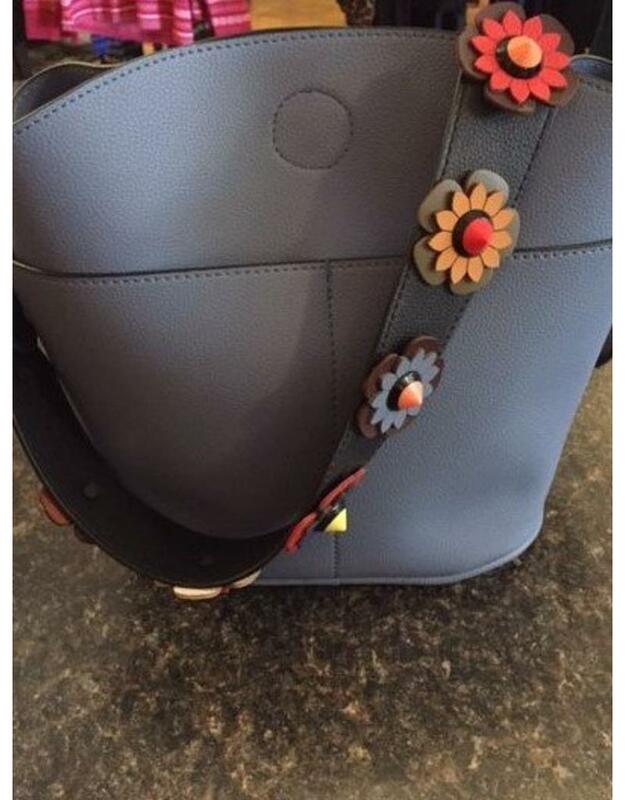 Perfect accessory for any outfit.